A few weeks ago, I had the awesome pleasure of photographing Megan and Scott in celebration of their upcoming one year wedding anniversary. I shot their beautiful holiday wedding last December, and was so excited when Megan contacted me a couple of months ago to set up an anniversary session. We even returned to the same location we shot a few images after their wedding! I loved catching up with them and hearing how wonderful their first year of marriage has been. And, Megan. Oh my goodness… could she BE any more gorgeous?! 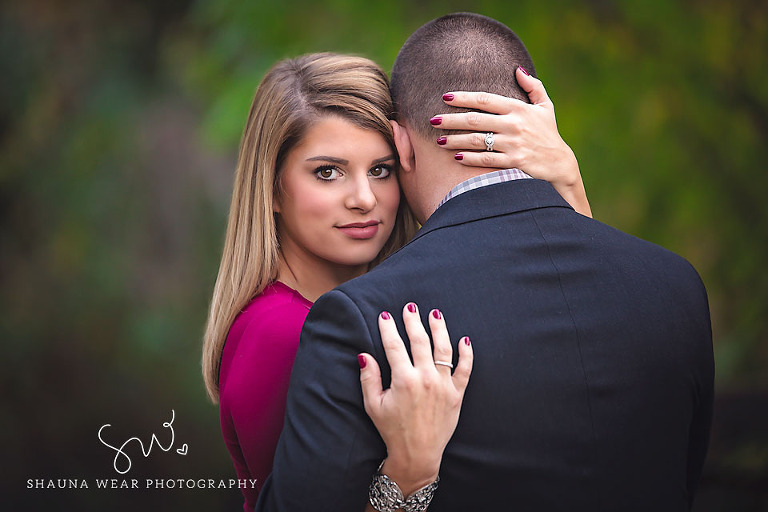 One of my favorite parts of their session was getting to recreate one of their wedding pictures from last December. This time, with some beautiful daylight!